I made this photograph of lightning over downtown Albuquerque from loft 10 at Country Club Lofts. Twenty second time exposure. 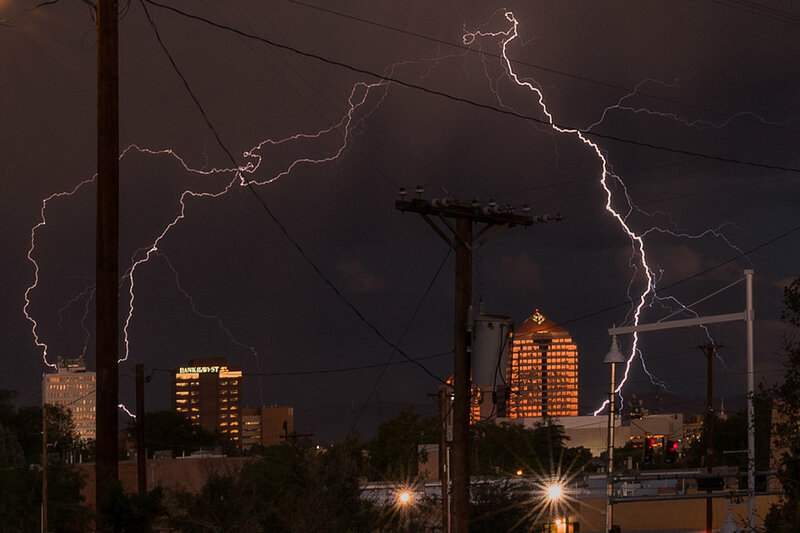 Lightning show over downtown Albuquerque.